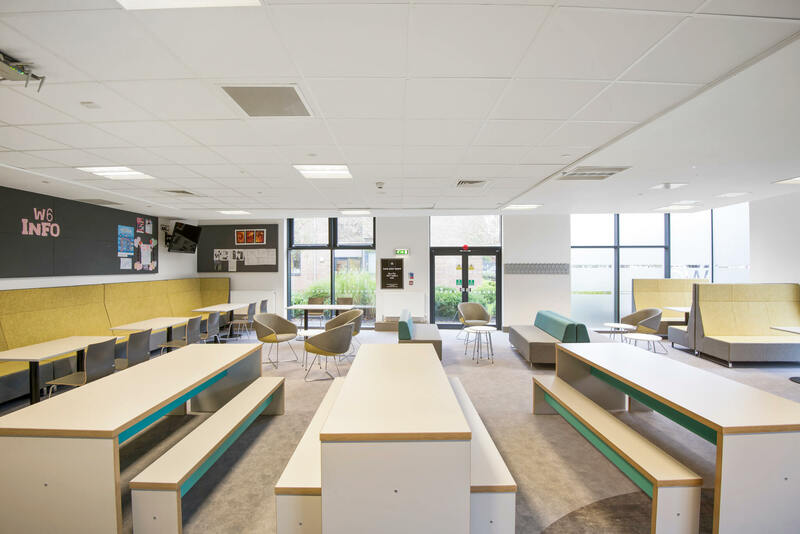 Pinnacle were approached by Sir Robert Woodard Academy who wished to completely redesign their Sixth Form Area to promote different styles of learning and accommodate increasing student numbers. 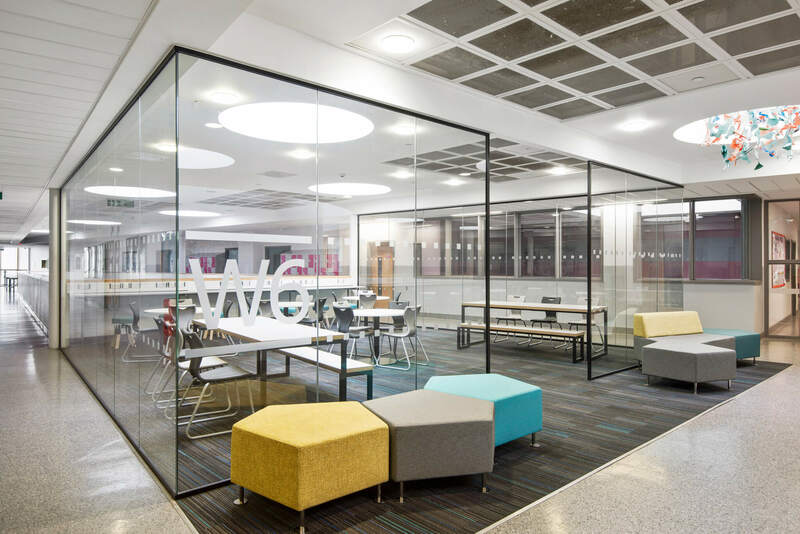 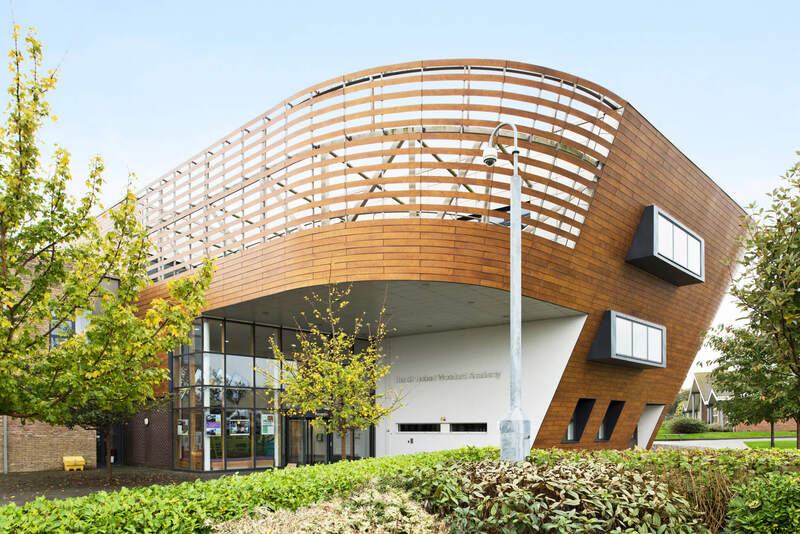 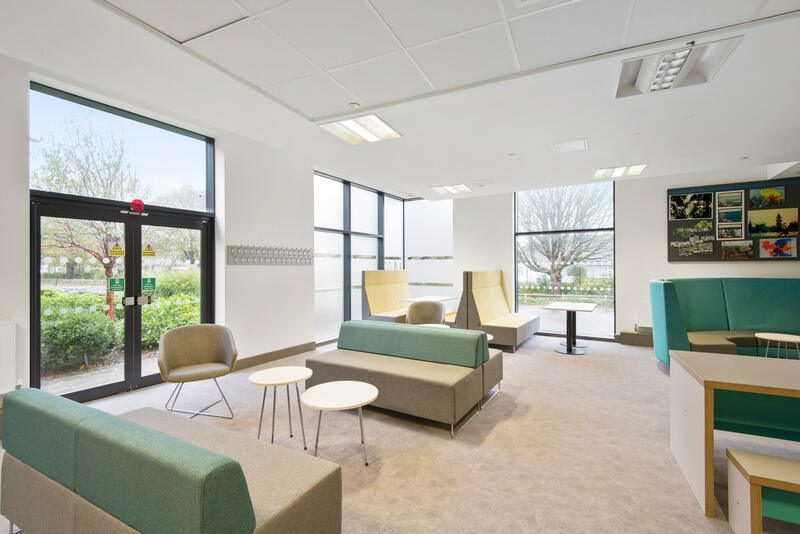 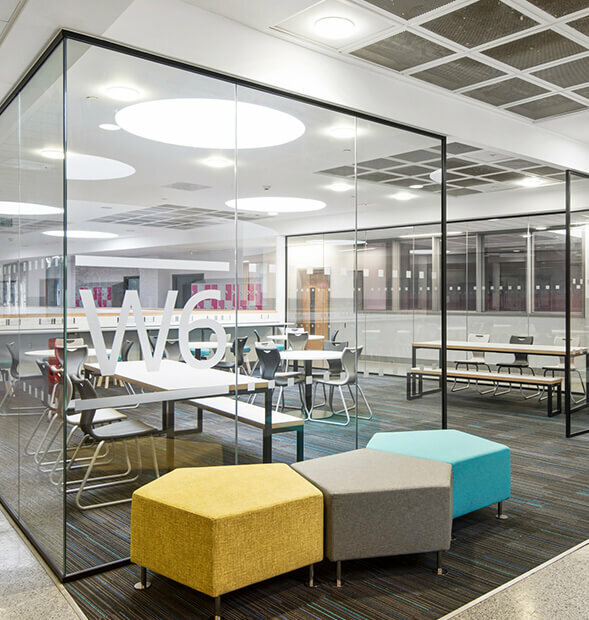 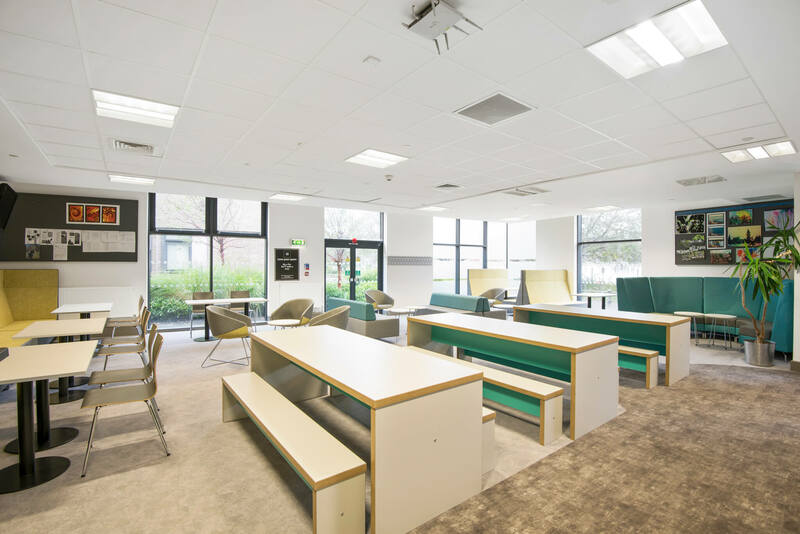 The school wanted to promote group and individual learning, cultured socialising and accommodate the increasing number of students, but within the same footprint and still keeping the ambiance of spaciousness and flexibility. 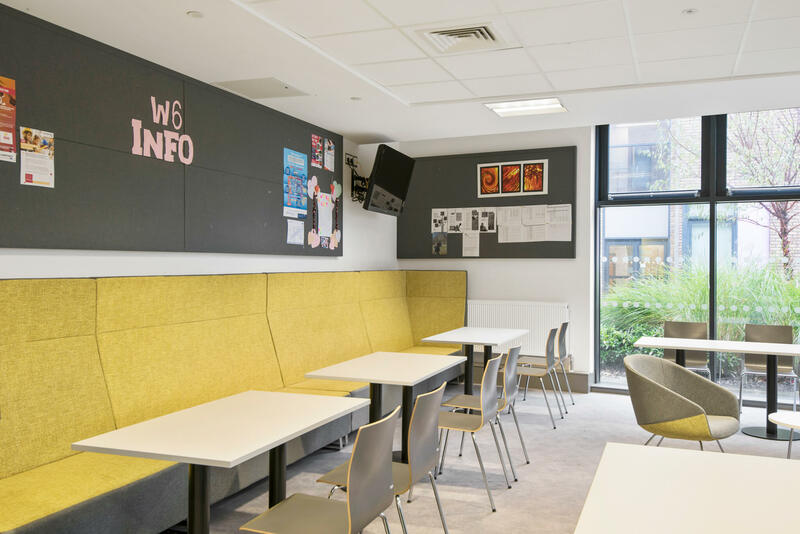 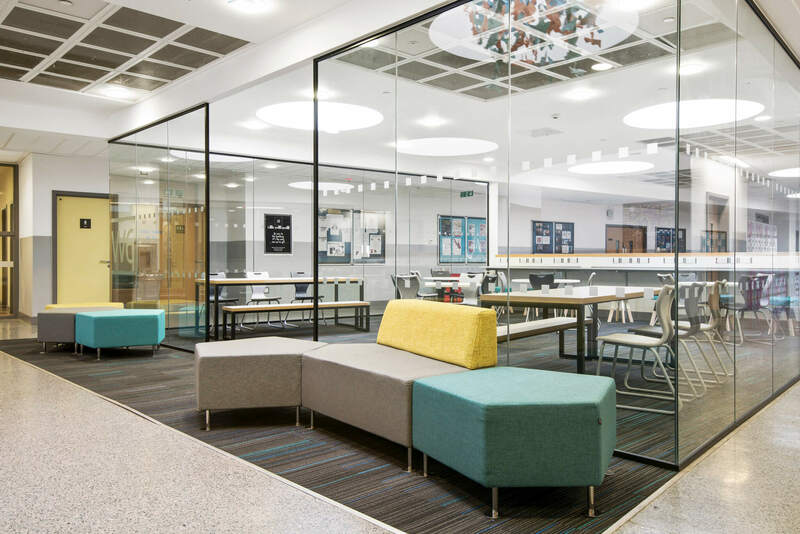 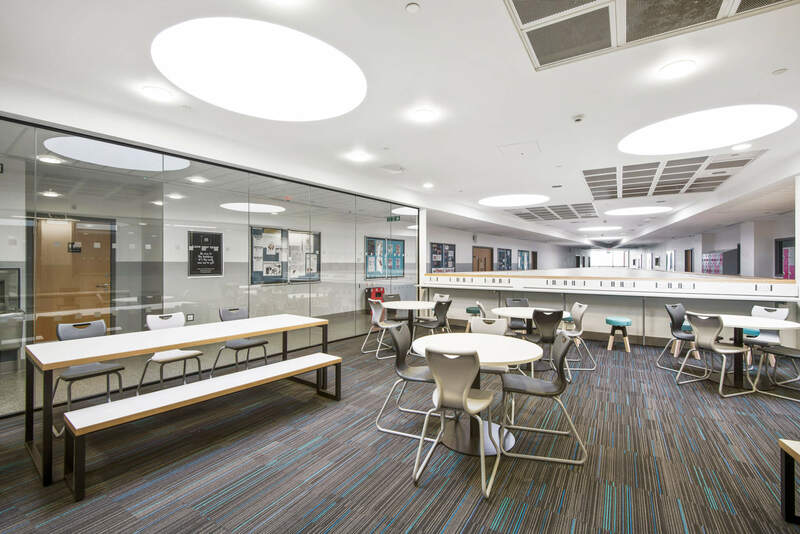 The 5 main areas of the Sixth Form that Pinnacle redesigned were the downstairs social space, the 2 learning hub rooms, the first floor breakout space with breakout study, and social areas. 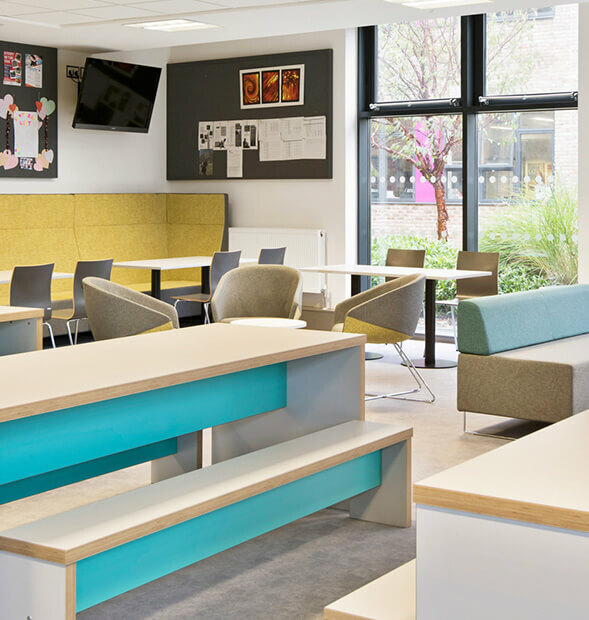 The downstairs social space feature several of our Feast tables and benches which are perfect for this environment as they are hard wearing and can be wiped clean with ease. 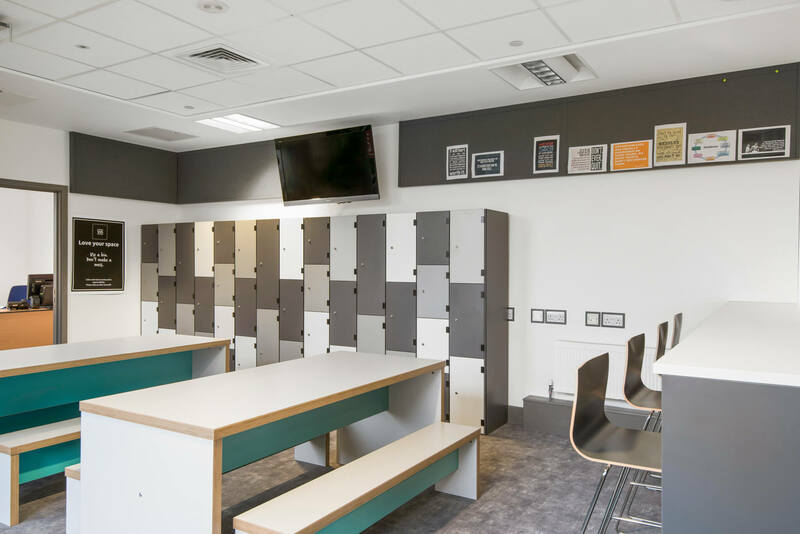 We also supplied SGL door lockers, Orte chairs and barstools, as well as a run of our VooVoo high back seating in a striking yellow and grey combination for students to relax on in between lessons or during private working. 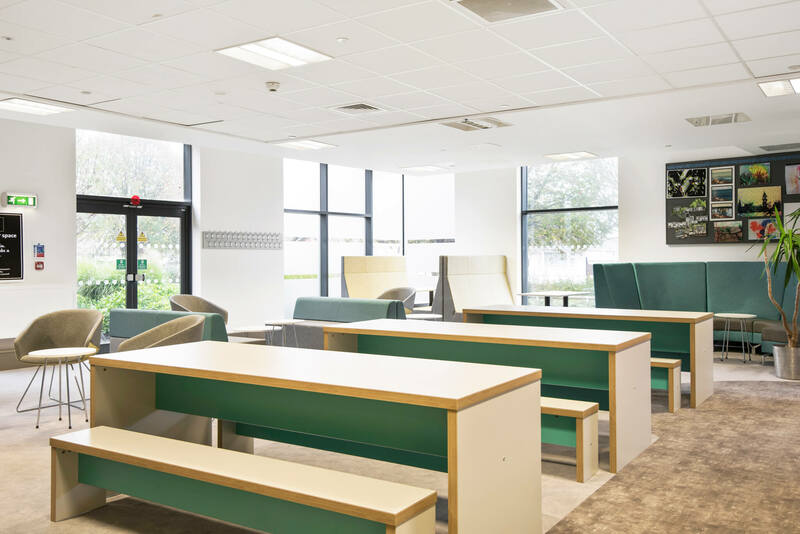 In the first floor breakout space with the breakout study was supplied several more of our Feast tables and benches, along with EN Classic Skid Based chairs. 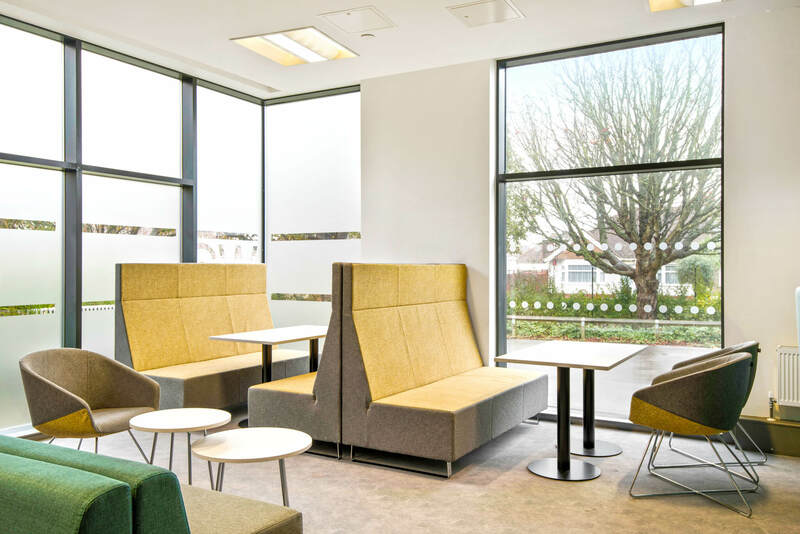 Outside of the breakout study area are several of our Penta Seats. 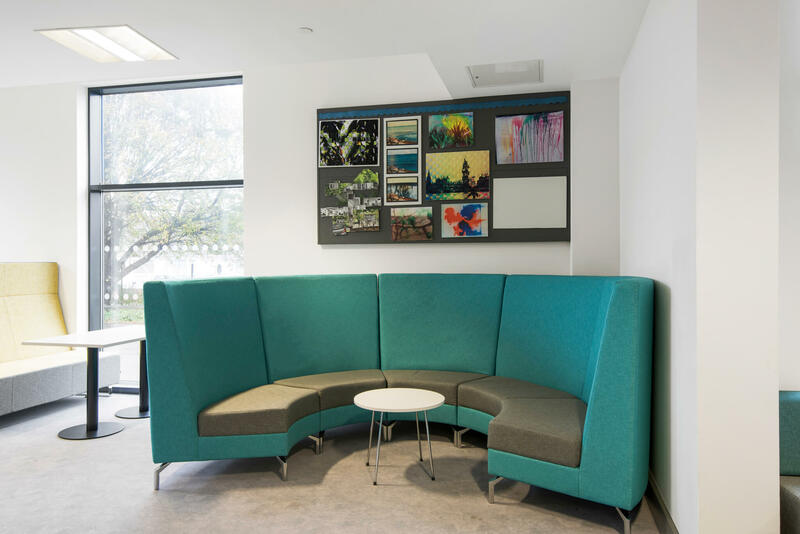 The Penta easy seating is a system of modular pouffes and seats with an infinite possibility of arrangements which could include backs, acoustic screens, tables and many finishes. 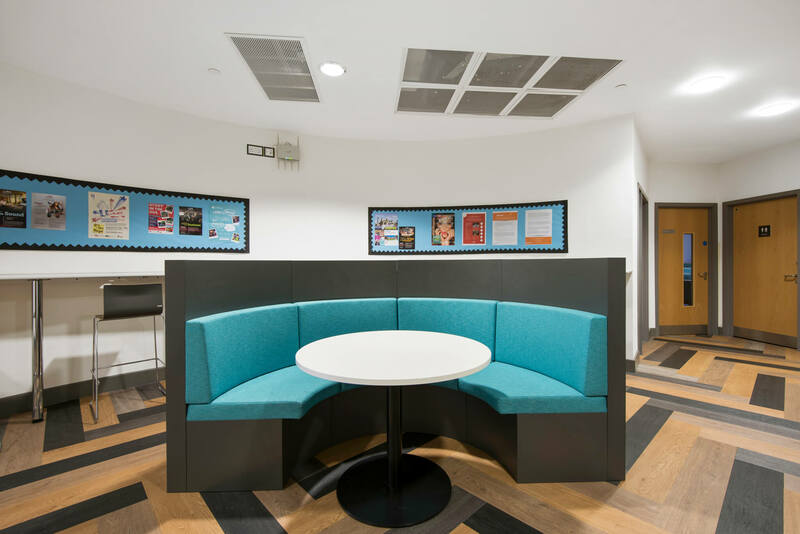 Several of our small Spin Stools were also placed in the room with an attractive combination of solid timber legs, metal frame and generously padded upholstered seat. 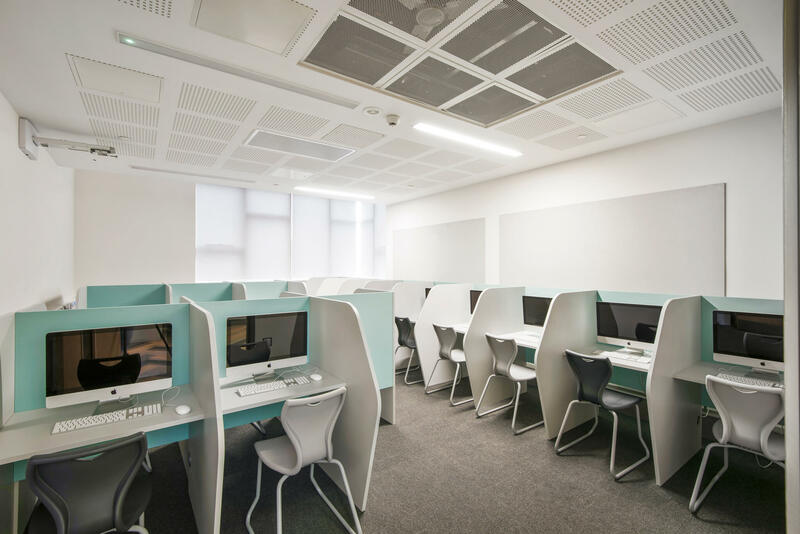 The learning hub room had several runs of our Horizon Study Pods to facilitate independent and private learning. 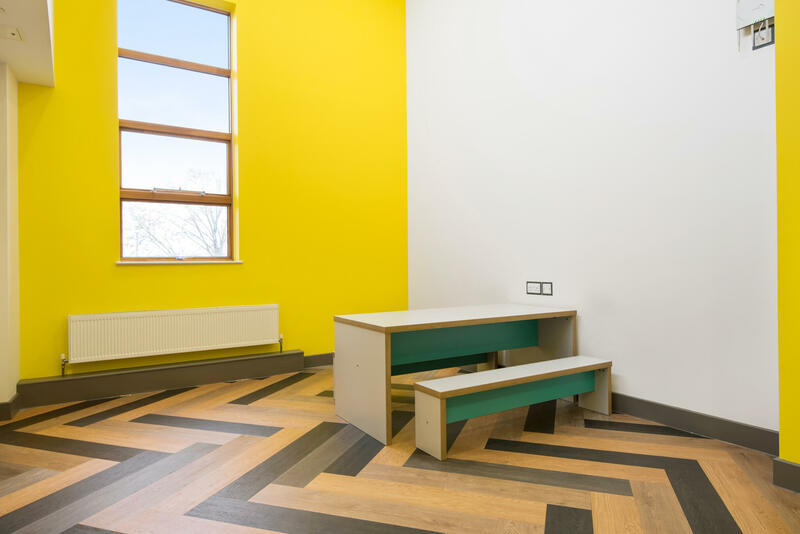 In several areas of the Academy we fitted eye-catching flooring, along with our Refuge high back convex units.